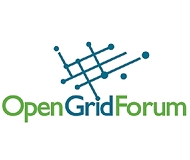 All OGF35 and HPDC’12 attendees can download for free mobile conference program. OGF35 is co-located with the HPDC 2012 conference (June 18-22) in Delft, Netherlands. All OGF working groups are encouraged to meet at OGF 35 and to participate actively in the co-located workshops and conference events. Download Conference4me here and select “HPDC’12 (incl. OGF35)” conference from available congresses list.